Tensions were high as the riders lined up in the grassy meadows at the foot of the hills just outside Sibiu. Skies were favourable. As an act of generosity Martin Freinademetz had granted an extra half an hour of sleep to the riders, a sign of recognition of the unbelievable strain the riders had been under during the last four days. After a night of heavy contemplation Wade Young, Manuel Lettenbichler and Jonny Walker knew what they had to do to conquer this day and be the overall champion. Jonny had fire in his veins and charged full throttle out the start - knowing that it was 30 mins in the overall ranking that separated him from the title this year. Even though Walker rode an unbelievable race on Offroad Day 4 and made up some time, he was not able to beat the “young guns”. Jonny Walker secured himself a third place - on the podium! 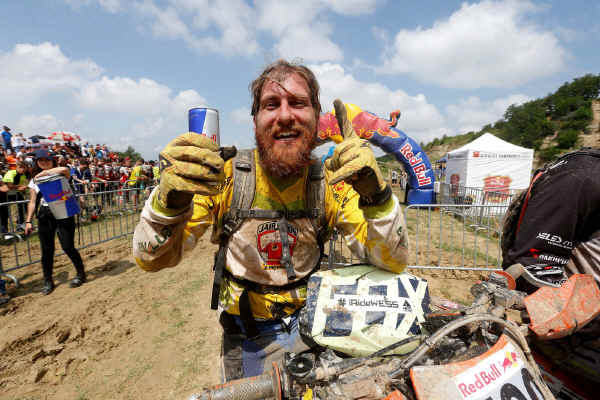 On this final race day of the 2018 Red Bull Romaniacs - Manuel Lettenbichler rode the race of his life - blowing everything out of the water. 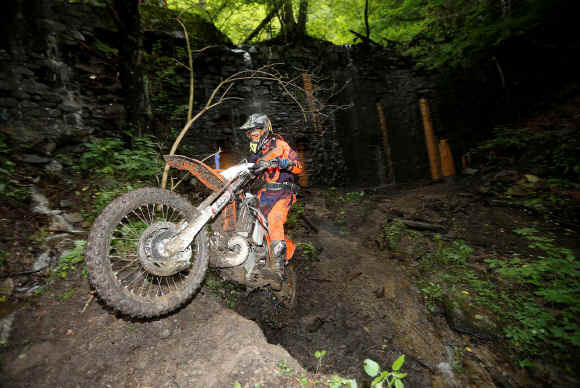 It was similar to last years Offroad Day 4, which had earned him a fourth place in 2017. Today he had started the day with a 4 mins disadvantage behind Wade Young in the overall race progress - with the ultimate win in his sights. And Manuel Lettenbichler delivered again, as he did throughout this entire race: He won the day and only missed the title by a mere two minutes, ending up with a second place on the podium! His absolutely best result so far. Wade Young seemed to be holding back a little during the morning while Letti was charging out of the gates on fire. After the second to last checkpoint Young let it rip and charged forward, regaining time he had lost to Lettenbichler during the morning. 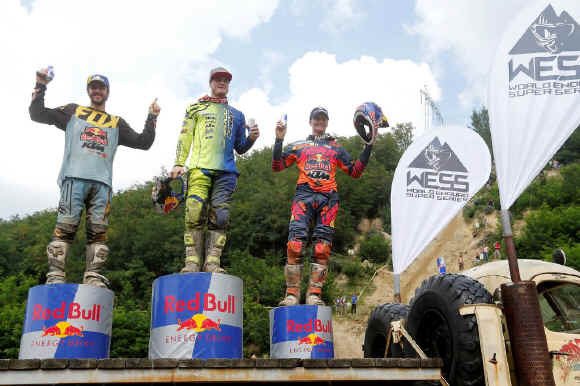 His strategy appears to have been to conserve energy in the morning and then go for a final spurt, which granted him the title: the winner of the 2018 Red Bull Romaniacs - Epic Edition 15. In fact, he is now the youngest ever winner of the Red Bull Romaniacs. The competitors determination and skill was demonstrated throughout the day, for example Wade and Manuel rode between 2 checkpoints in exactly the same time to the SECOND! Also, Mario Roman and Billy Bolt: Roman, showing no mercy to his injury, was riding the exact same time to the minute as Billy Bolt from the start up until checkpoint 8. This level of competition to the second and to the minute has never been seen before. Despite the craziness of the race and the unbelievable level of strain riders and bikes have to go through, it again shows, how much the performance level in this sport has grown. For example, in 2009 Letti senior needed 35 mins for passing through the section “Long Walk”, in 2017 Letti junior passed the same section in just 7 mins. In 2004, the section “20 helpers” was named after the fact that 20 people were needed to assist the riders to cross it - no helpers are needed for the same section in 2018. 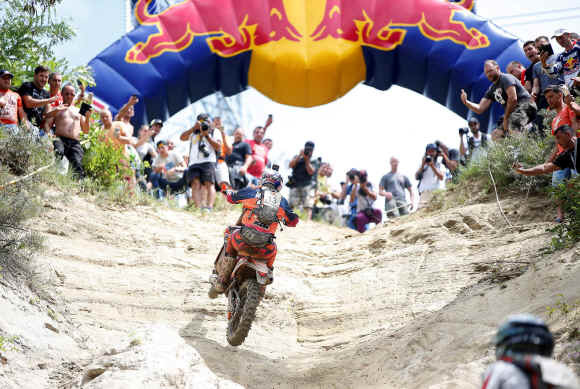 And the Red Bull Romaniacs keep growing the difficulty: new sections were introduced this year, that are currently setting the bar and that are considered close to impossible to ride. One of them is the section “Babysitter”, a steep wall (up) on roots and rocks. In a few years, the top guns can be expected to just be cruising through there. There were many occasions when we saw spectator participation in this years rally, a sign of the growing passion for the sport of hard enduro. The number of Romanian fans is always encouraging as well as international visitors who travel to Sibiu specifically to follow the race. International viewers are also represented by the high number of social media, website and live views, numbers that have grown significantly over recent years. Today Josep Garcia (# 20) had lost his front brake. After having managed to negotiate the section “Ziggy Zaggy”, he was in search for a KTM bike from the spectators, it was a German spectator who donated his front brake to the Gold class rider so he could continue on his way. In the Silver class Dieter Rudolf maintain his lead over Michael Walkner and Josu Artola. Stefan Simpson was 5th, Dave "never again" Wood 9th, Josef Westgarth 15th, Grant Churchward 25th, Sam Ludgate 40th, Keith Maude 56th, Mark Kirby 58th, Steve Roper 61st, Richard Baxter 67th, James Jackson 77th, Mark Jackson 79th, Wil Westgarth 80th, Jon Kingston 94th and Keiran Hankin 129th. Sam Ludgate That's Romaniacs off the bucket list Even after missing a day I'm still classed as a finish. So started yesterday near the back of 150, then missed the start by 26mins and got a 20min penalty for missing a check, but still finished the day 21st and started there today and pulled up to 8th, very happy as only I know the pain I've been riding in. So pissed off lifting the mtb over a gate last week has basically ended my Romaniacs and the chance of a solid result. Cannot thank Eurotek and everyone involved, too many to mention, enough for there efforts this week, but there's always another year and I need another run at that hill Gutted but what a week it's been.